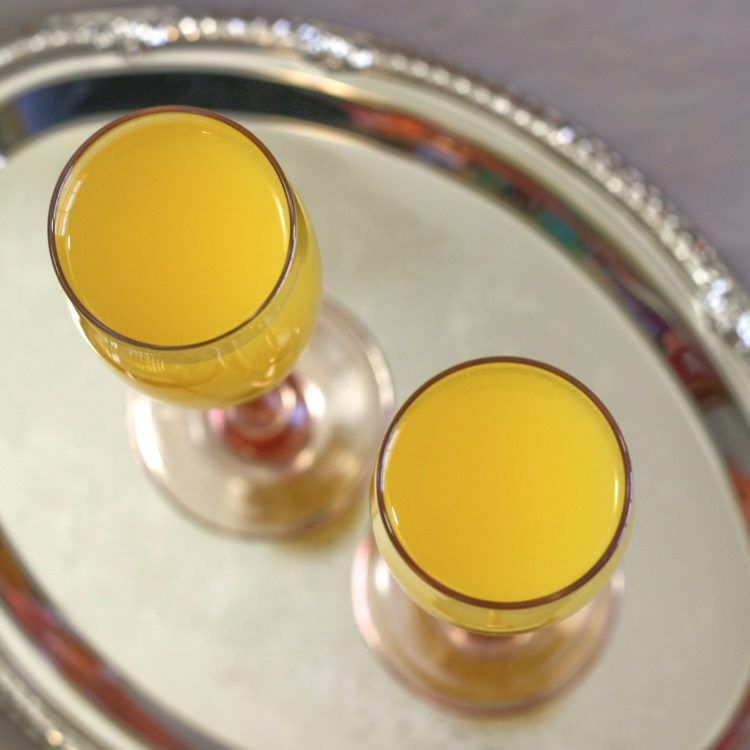 The Mockmosa is a delicious alcohol-free substitute for the traditional Mimosa. You can serve it alongside Mimosas so that guests have a choice, or it can be your tipple when you want to socialize with drinkers but not drink yourself. 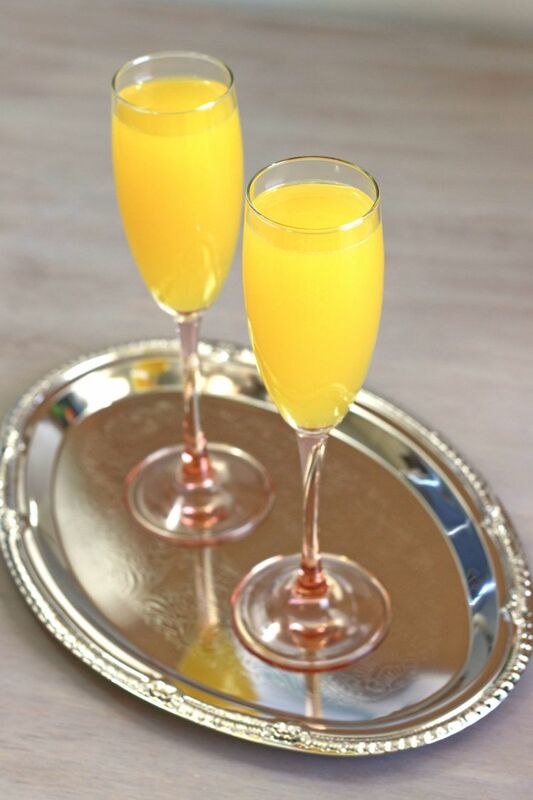 Your first thought for making a non-alcoholic Mimosa might be a champagne substitute such as Martinelli’s Sparkling Cider, but the grape juice flavor is actually much more intriguing – and tastes more like a high quality champagne. In the US, you may have to hunt for a sparkling white grape juice that’s actually dry in flavor – look for brands that add little or no sugar, and no corn syrup at all. If you can’t find anything but Welch’s, try adding some lemon juice or a little bit of rice vinegar to it. Pour the orange juice into a flute glass and then pour the sparkling white grape juice. Optionally, you can arnish with a mint sprig. I used Martinelli’s Sparkling White Grape with the option of orange juice, cranberry juice, or strawberry-peach juice at my daughter’s bridal shower. They were quite a hit! What type of fruit did you garnish this with? I can only find Welch’s. How much lemon should I add? It depends how tart you like it. I’d say start with just a teaspoon, see how that tastes, and then add more if you want.